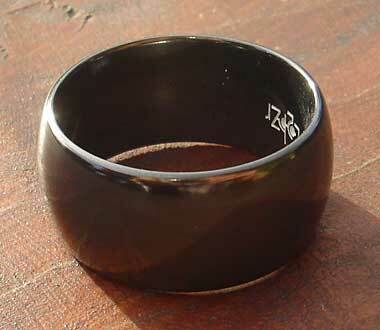 Men's Wide Domed Black Wedding Ring : LOVE2HAVE in the UK! 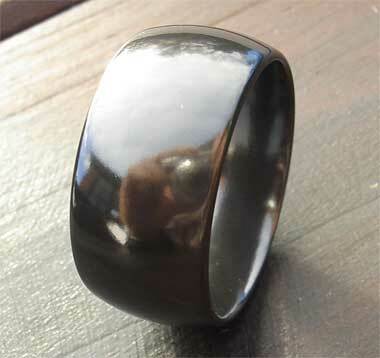 A 10mm wide, plain domed all over black zirconium wedding ring for men. This model is the broader version of the popular thinner version we sell, and it is available in a satin or polished finish. 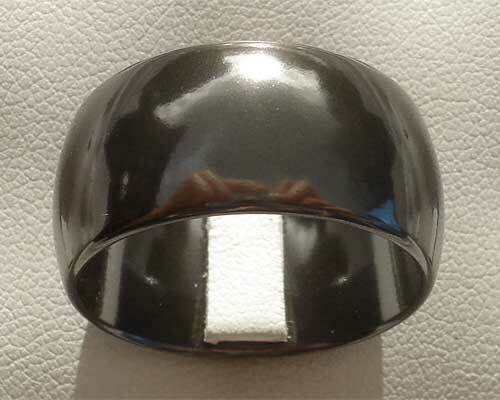 The black finish on this ring isn't a plating but a coating that is created using high temperatures, and it is incredibly sturdy and hard wearing. While traditional jewellery plating such as rhodium will scratch away, our black zirconium rings are as robust as sapphire. However, we do recommend looking after them and avoiding contact with other hard surfaces, but slight scratching can be polished out easily. Regarding sizing do try our ring sizing service first of all if you are unsure to avoid disappointment.